I don't know about where you are, but here it is definitely starting to feel like fall. I didn't want to, but the other day I gave in and turned on the heat...I just had to get that chill out of the air. It is still 'on' but I have it set at 64, just warm enough to keep it from getting cold in the house. Days like this really make me start to switch gears on the type of foods and drinks that I have. It makes me ready for piping bowls of chili, roasts that cook for hours in the oven, apple desserts, hot tea and soup. With the exception of Cincinnati style chili, many of these foods simply aren't things that I think about in the summer. So, the fall is like a time to welcome these foods back into the menu. Of course, there seems to be a richness to many of the foods that I enjoy in the winter, the so called comfort foods. This is not a good thing when you are trying to watch what you eat. It is nice to know that there are lighter options out there that can let me enjoy the comfort foods of fall, with a little less worry. 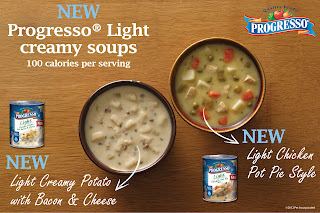 "With two new creamy flavors, Progresso Light soups are giving those who are managing their weight a new reason to celebrate! At 100 calories per serving, now you can indulge in warm, creamy soups like Light Creamy Potato with Bacon and Cheese* and Light Chicken Pot Pie Style* without feeling guilty. Packed with indulgent, satisfying flavor, these two new Light creamy soups are the perfect way to make thoughtful eating decisions without sacrificing incredible taste. Right now, you can print a coupon for $1.25 off the purchase of 4 cans of Progresso soup. Giveaway will remain open through October 10th. Giveaway is open to residents of the US only. One winner will be selected through Rafflecopter. The winner will have 48 hours to respond or a new winner will be selected. No compensation was received for this post. 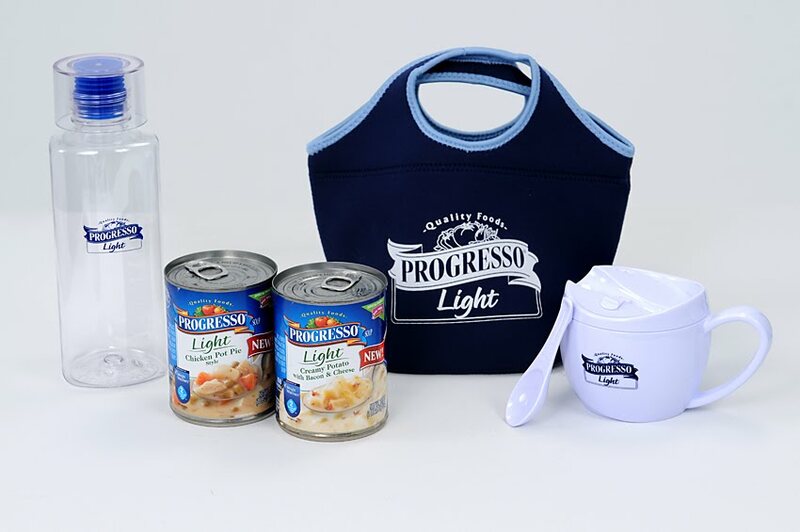 The coupons, information, and gift packs have been provided by Progresso® through MyBlogSpark.. All opinions expressed are entirely my own or that of my family. Minestrone is my favorite soup! I love clam chowder--guess that's the New Englander in me! I love cream soups. New England Clam Chowder is one of my favorites. My favorite soup is potato soup or broccoli and cheese soup! igsI like chicken noodle soup. Chicken dumpling is my favorite. Almost any cream soup is a favorite, so I am anxious to try these. If I had to pick just one favorite soup, it's cream of mushroom.